The Russian Human Rights Council demanded that the Russian authorities stop systematic violations of human rights in the occupied Crimea, according to an open statement published on the website of the Moscow Helsinki Group. 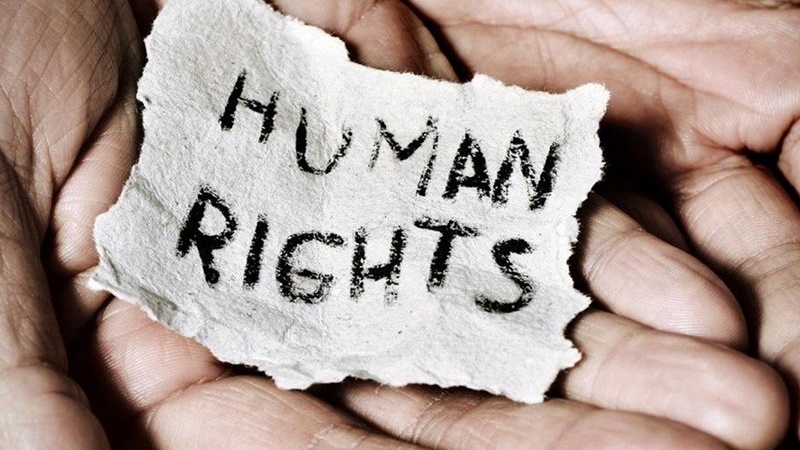 Members of the Human Rights Council of Russia note a significant deterioration of the human rights situation in four years since the annexation of the Crimean peninsula by Russia and require immediate measures to protect the fundamental rights of the Crimeans. QHA provides the full text of the statement. Demand an end to the systematic human rights violations in the Crimea! March 18, 2014 based on results of a flagrant violation of the international law of interrogation of inhabitants of the peninsula inclusion process was launched Crimea and Sevastopol to the Russian Federation. Russian Federation prior actions fully correspond to the definition of aggression adopted by the United Nations. Under these conditions, already on March 21 was formed Crimean Federal District as a part of Russia with the introduction in the Crimea Russian management and legislation. Quite naturally the annexation of the Crimea was convicted decisions of the United Nations, the Council of Europe and the Organization. We also can not accept the legitimacy of these actions. Nevertheless objectively inhabitants of Crimea were under the control and management of the Russian Federation, which is fully responsible for what is happening on the peninsula. Four years after this event, it must be noted that the human rights situation in many areas of the Crimean peninsula has deteriorated significantly . Before the introduction of the Russian legal system in Crimea rather loosely held numerous public events. Since March 2014 the possibility of peacefully assembled at public events was significantly limited. In daily practice included: failure to harmonize the organizers of peaceful assembly, which in fact is their prohibition; threats against the organizers and participants; dispersals of peaceful assembly; involvement of the organizers and participants of the meeting to the criminal or administrative liability. Introduced an exhaustive list of places where Crimeans can assemble peacefully. We believe all these restrictions unreasonable. In Crimea, systematically violated the right to freedom of expression, especially those who express disagreement with the actions of Russia in the "accession" of the peninsula. Human rights organizations have reported numerous cases of restrictions on freedom of the media in the Crimea after March 2014. First of all it is a significant complication of the rules of registration (re-registration) media and frequent denials of such registration, blocking access to sites and social networks. For the year, allotted by the Russian authorities to re-register the Crimean media, the number fell by 88 percent compared with the beginning of 2014. Documented cases of pressure on journalists carrying out their professional activity in the Crimea, as well as independent journalists and bloggers, resulting in unreasonable searches, arrests, accusations of administrative offenses and criminal offenses, confiscation of equipment, threats, attacks, and so on. Pressure on journalists and activists used the so-called anti-extremist legislative package used selectively. There were cases of deprivation of liberty for posts and repost in social networks. Russian policy in the Crimea led to a serious restriction of the right to national and cultural autonomy and the preservation of language and culture representatives of the individual national communities. Almost destroyed the system of teaching and dissemination of information in the Ukrainian language, while Ukrainians make up a significant part of the population of the peninsula. With regard to the Ukrainian Cultural Center activists who carry out activities for the maintenance of Ukrainian culture (Ukrainian language courses, training of national embroidery, educational activities), recorded and documented forms of pressure such as arbitrary detention, administrative and criminal prosecution, "preventive conversations", threats, psychological pressure. In respect of the Crimean Tatar activists who disagree with the policy of the authorities, subject to administrative and criminal prosecution, carried out massive searches, detentions, arrests, enforced disappearances. Stops and searches carried out in places of compact residence of the Crimean Tatars as a special operation, the disproportionate use of force and special means. Through the media formed a negative attitude to the Crimean Tatars as "extremists" that pose a potential threat to society. September 29, 2016 Supreme Court banned the Mejlis of the Crimean Tatar people, recognizing his "extremist organization".This ban violates the right to freedom of association. Many leaders of the Mejlis denied entry to the territory of Russia and the Crimea. Retroactive enforcement is practiced. So, despite the protests of the international organizations, continues to open January 28, 2015 "the case on February 26," in which pursued the protesters in front of the Verkhovna Rada of the Autonomous Republic of Crimea 26 February 2014, when the peninsula was virtually acting Ukrainian legislation. Prosecuted and have been members of the Kiev "euromaidan" caught in the Crimea. In September 2016 for the video, posted on a social network, fined Alex Shestakovich. He was charged with violation of the Article. 20.29 of the Administrative Code for the post, posted back in 2010. Lack of legal certainty in a number of Russian legislation allows the authorities to interpret it in its sole discretion, to apply selectively, unreasonably prohibit some actions and allow others using the law enforcement agencies and the justice system as an instrument of political pressure and intimidation of opponents. We call on the Russian authorities to take immediate measures to ensure the protection of the fundamental rights of the Crimean people. We do not recognize the annexation of Crimea legitimate, but we urge the Russian authorities as the authorities, de facto control over the territory of the peninsula, to put an immediate end to violations of human rights, namely: freedom of expression, freedom of peaceful assembly, freedom of religion and belief ; violations of the rights of minorities; stop the practice of discrimination, arbitrary detention, torture and other cruel, inhuman or degrading treatment. We call upon to reconsider a decision to declare the Mejlis of the Crimean Tatar people extremist organization and banning its activities, as well as the decision to ban the entry of the leaders of the Majlis in Crimea. We call for the immediate release of all political prisoners living in the Crimea, and those charges are related to the events in the Crimea, or handed down by the courts in the Crimea after the annexation of Russia: Rustem Abiltarova, Zevri Abseitova, Muslum Aliyev Refat Alimov, Ali Asanov, Vladimir Baluch, Enver Bekieva, Vaitova Rustem Mustafa Degermendzhi, Arsene Dzhepparova, Andrew Zahteya, Zeytullaeva Ruslan, Andrei Kolomiets, Kol'chenko Alexander, Alexander Kostenko, Emir Usein Cook, Enver Mamutova, Remzi Memetova, Evgeny Panov, Yury Note Islands, Vladimir Prisicha, Ferati Sayfullaeva, Oleg Sentsova, Vadim SIRUK, Alexei Cirno and others. We stress the importance of independent observers in the implementation of public control over the actions of the authorities and to provide objective information to the public. Media, independent journalists and bloggers, human rights defenders, non-governmental organizations should be provided with effective safeguards in the implementation of its activities. Restriction of their rights should be based on law and international standards of human rights. We call upon to create conditions for the smooth operation of the peninsula of temporary and permanent observation missions sent by international and intergovernmental organizations and non-governmental organizations. We call on the Russian authorities to start a dialogue with all stakeholders in order to improve the situation of human rights in the Crimea. Human rights are above all! QHA reported that a round table was held at the University of Notre-Dame Louaize (Beirut, Lebanon Republic), where the problems of violating the rights of the Crimean Tatars in the occupied Crimea were discussed. The leader of the Crimean Tatar people, Presidential Commissioner of Ukraine for Crimean Tatar People Affairs Mustafa Dzhemilev and Deputy Chairman of the Mejlis of the Crimean Tatar People Ilmi Umerov told about the annexation of the peninsula and the situation with human rights in the occupied Crimea.